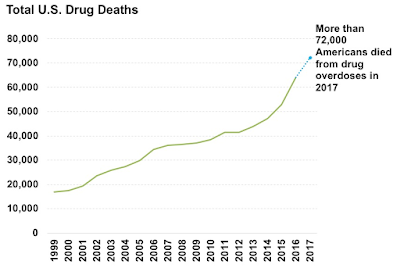 Drug overdoses killed more than 72,300 Americans last year, a record and a rise of around 10 percent, according to the CDC. This death toll is more than the peak yearly death totals from H.I.V., car crashes or gun deaths. 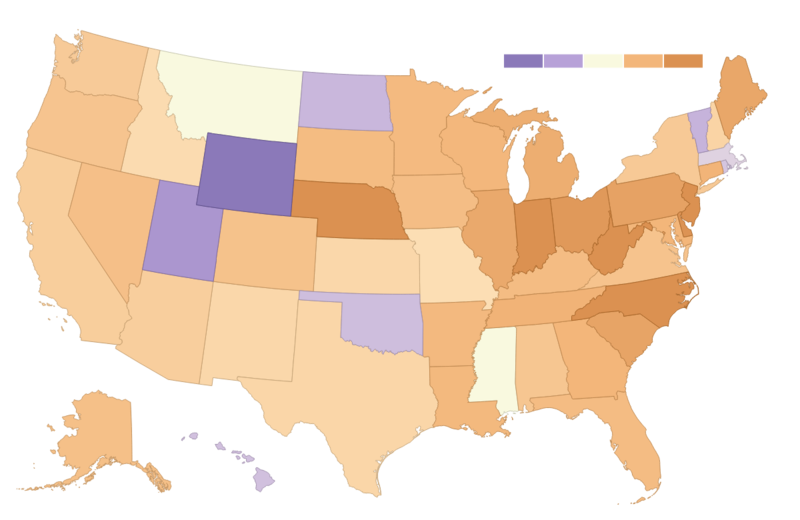 The death toll reflects a growing number of Americans are using opioids, and those drugs are becoming more deadly. Opioids like fentanyl have become mixed into supplies of heroin, cocaine and meth. Unexpected combinations of those drugs overwhelm even experienced drug users.